PC Monitor with Speaker is a rare breed. Manufacturers are just not interested in making monitors with speakers because let’s face it; they aren’t the greatest that you can find. Average displays have like 2-watt stereo speakers, and that is relatively weak. If you have ever heard built in laptop speakers, then you would know exactly what I am talking about. They are fine in the sense that you can make use of them if you have no other option, but they don’t exactly have the sound that would have you dance. They are certainly not for having a quality time. For that reasons, most of the brands ditch them on their speakers because they know people will end up buying cheap stereo speakers that are ten times better. There most certainly are instances where a PC monitor with speaker would come in handy. For example, an office environment. If you have a large number of computers and you do not want to invest in separate speakers for each one them, then you will find getting a cheap monitor with speakers are a worth it alternative. Furthermore, they are ideal for emergency use. If you have no other option, then you can turn to your monitor speakers to at least satisfy you for the time being. At least until you find better speakers. Last but certainly not least, built in speakers are appreciated by those who want to free up space on their desk. Having a set of separate speakers with its wires running all over the place can be quite frustrating. PC monitor with speakers saves you from that mess. This is the only great rating that you should take into consideration. The higher the Watts, the higher would be the volume. For monitor speakers, you should aim to get as much as volume as possible because most of the monitor speakers can barely be heard in a moderately loud environment such as offices, etc. Here is a list of few of the PC monitors with speakers. Of course, if you look around you will find plenty more. These monitors will give you a good start on what to expect. This is a relatively cheap monitor with integrated speakers. Like most of the monitors with speakers listed here, the speakers on this monitor aren’t powerful. They are excellent for an office environment or casual listening at home. Other than built-in audio, there are a ton of things that are great about this monitor. Firstly it features stunning visuals thanks to the high-quality IPS panel. Secondly, it has a beautiful edge-to-edge display and very slim design profile. It can easily be the center of attraction where you decide to place it. As for the connections, this monitor offers Display Port, HDMI, and VGA. This is quite adequate. 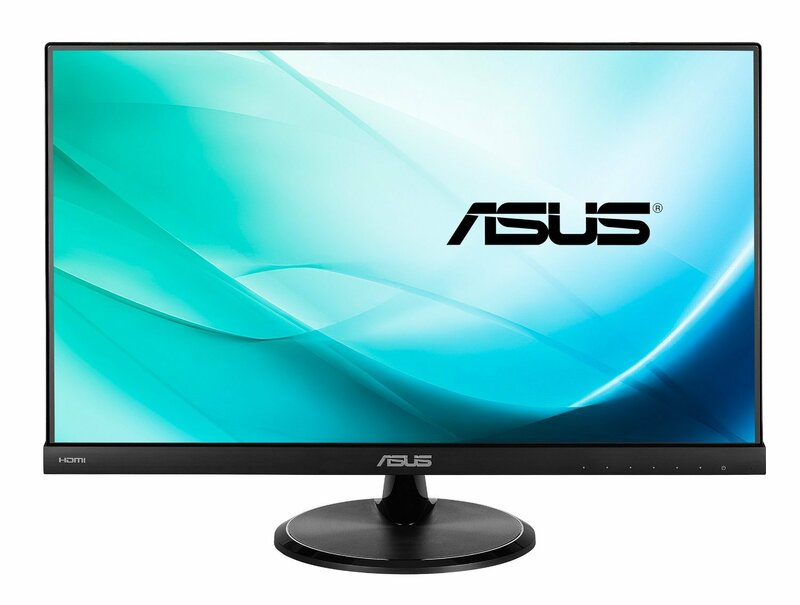 Next, up we have the famous, awesomely designed, gorgeous, one of a kind, and THE slimmest bezel monitor: it is the ASUS MX27AQ. This is a 27-inch screen featuring built-in speakers designed by Bang and Olufsen. Apparently, these are one of the best built-in monitor that you can find on a screen. The story of this monitor does not just end there with great speakers; this monitor offers so much more. First of all, it has the highest quality IPS panel that you wish for. 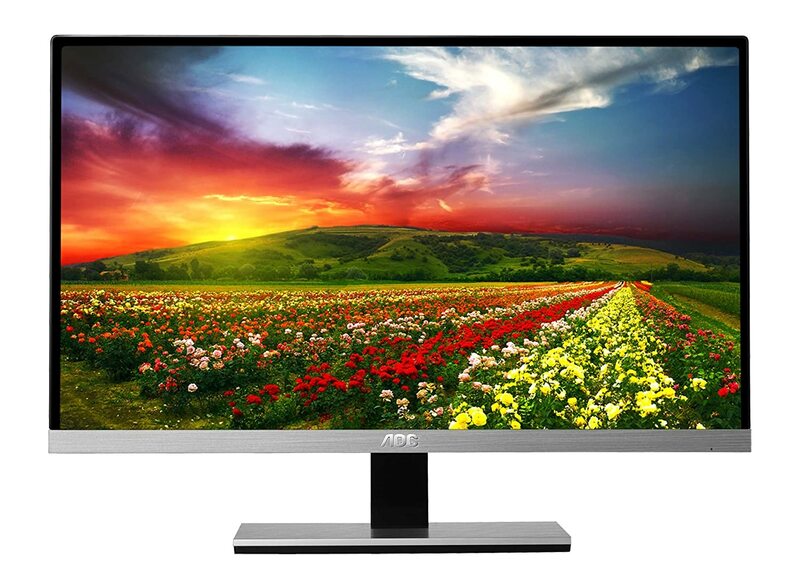 A good quality IPS panel can ensure better colors and lower backlight bleeding. On top of that, this monitor has a bezel of just 0.8 mm. Making this the slimmest monitor in the market. This is not an ordinary monitor as it offers WQHD resolution. This not an ordinary resolution, but it is most suitable for 27-inch monitor such as this. The screen offers 3 x HDMI and 1 x Display Port. One of the greatest monitors to have hit the market in the recent days. This monitor does not feature the usual TN or IPS panel displays. Instead, it offers MVA panel. Now if you know your panels right, TN is the one with fastest response time, IPS is the one with better colors and wider viewing angles. Where does that put the MVA panel? Well, MVA panel lies somewhere in between in the sense that it offers great visuals and higher viewing angles. However, one of the best features of the MVA panel is the high 3000:1 static contrast ratio. 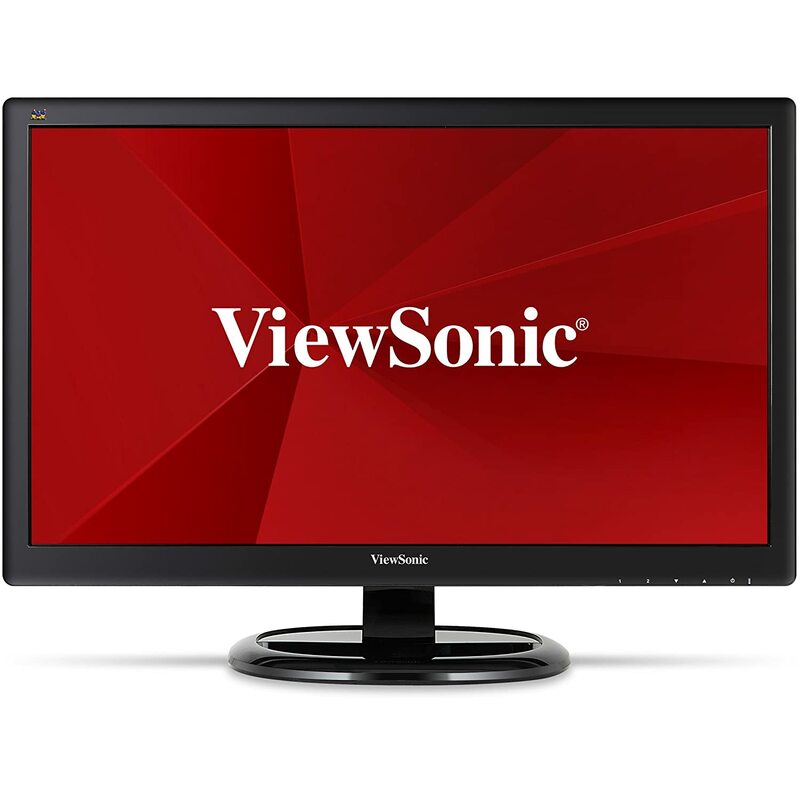 This gives the monitor extraordinary deeper blacks and brighter whites. This 24-inch FHD screen is one of the cheapest in this list which is a surprise because MVA panels are rare and expensive. Let us talk about the speakers. This is a PC monitor with speaker if you are wondering. The quality of the speakers and the volume is nowhere close to the two monitors listed above, but they are adequate. The 2 watts speakers are not the best, but for the price you cannot ask for more. This monitor not only has 2W speakers, but it also has so much more. Granted the speakers are no the best in the world; however, this monitor is a complete package of performance. For starters, know that this is a gaming monitor. But it does not cost as much. The monitor offers 144Hz refresh rate, 1 ms response time, fully adjustable stand, NVIDIA 3D Vision support and also adaptive sync support. It only costs a fraction of what gaming monitors usually cost. 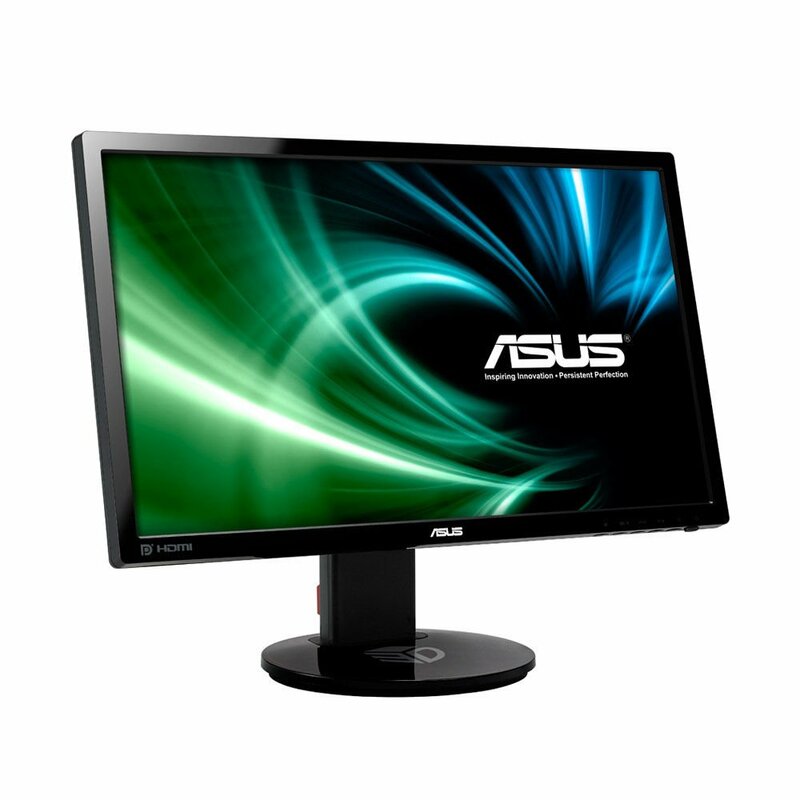 This screen offers Display Port, Dual Link DVI-D and HDMI port. Remember, although this monitor does have speakers, they quite lack in performance. You cannot expect much from speakers that are only 2 Watts per piece. You will inevitably have to invest in a headphone or separate speakers if you want quality sound. 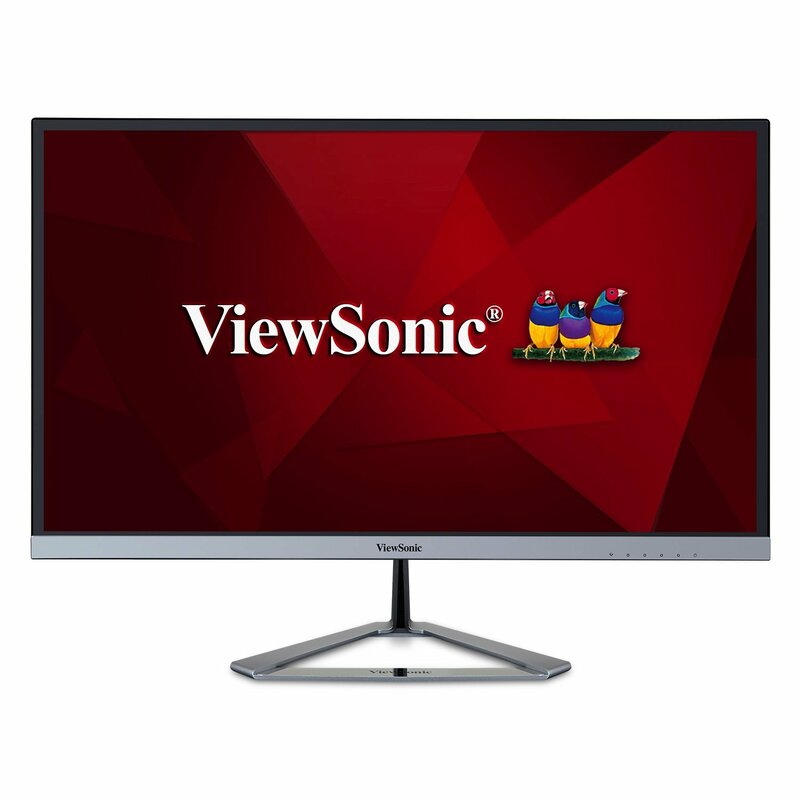 This is one of the smaller monitors in this list featuring a 23-inch screen with FHD resolution. It offers an IPS panel with 5 ms response time and a very slim bezel. This monitor is very cheap, one of the cheapest in this list. But, that comes with a drawback. The speakers on this monitor are only 1.5 Watts making it less powerful than the minimum recommended that is 2 Watts. With speakers like these, you will have a hard time listening to the sound even in low noise areas. However, the price of this monitor makes it quite worth it. I would recommend this monitor if you are tight on budget. Otherwise, this is not the best PC monitor with speaker to go for. AOC was the pioneer of slim bezel monitor. This monitor is the proof of that fact. Over time AOC has improved its design but none has received as much praise as the original. 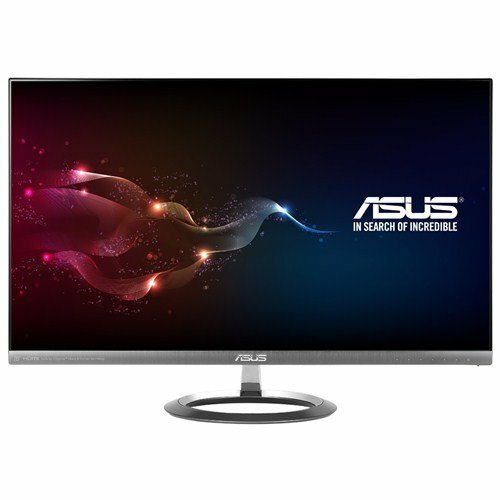 This monitor is the cheapest monitor listed here. 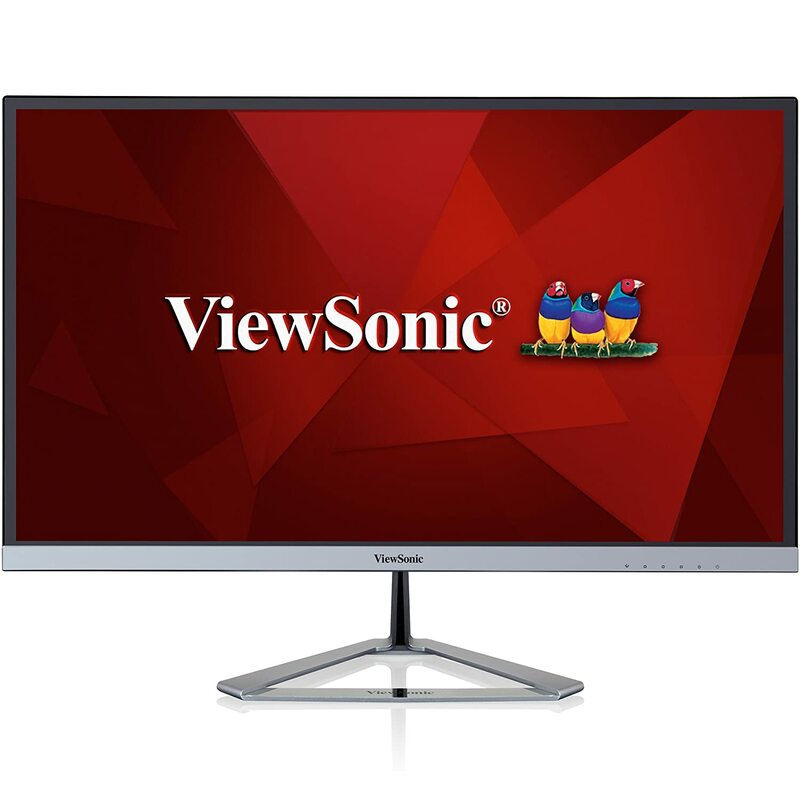 It is a 23-inch monitor with FHD resolution and 5 ms response time. Along with that, it features and IPS panel. The bezel is only 2 mm. From the connectivity options to the price, everything about this monitor is surprisingly great. AOC is not a well-known brand, but this monitor puts AOC right next to the giants. It offers VGA, and 2 x HDMI ports. Along with a beautiful stand, it also has VESA mounting holes so that you can hook it up to multi-monitor display. Oh, and before I forget, this is a PC monitor with speakers; 2 watts each. Why should you get a PC monitor with speakers? Why not instead get a very cheap standalone stereo speakers? Well if you compare most of the standalone speakers with the integrated speakers you will find that the standalone speakers are simply much better. However, getting a quality stereo speakers can be quite expensive. If you are an audiophile, you will be looking somewhere within the range of $200 to get yourself a decent set of stereo speakers. What about those very cheap ones, such as the Dell AC511 USB Wired SoundBar or the Pyramid 3080? Honestly, I would recommend these over the integrated speakers as far as the quality of sound is concerned. However, as mentioned earlier, they don’t promote a neat and clean workspace. For that reason, integrated speakers are better. PC monitor with speaker are rare to find, but they are quite worth it. They are only marginally more expensive than regular monitors and have almost the same quality and features. The only problem is that monitors with integrated speakers become rarer the more high end you go. You can usually find them in a budget to a mid-end range of monitors. Almost all of the brands out there have their versions of PC monitors with speakers. Their benefits are obvious. They promote a cleaner workspace, and they save you the cost of getting separate speakers. Unfortunately, they do not sound too good.